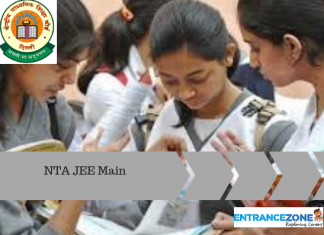 Jammu & Kashmir Common Entrance Test (JKCET 2019) is a state level entrance exam, conducted to offer admission in various engineering courses. JKCET, organized by the Jammu & Kashmir Board of Professional Entrance Examinations, is conducted once in a year. The engineering courses are offered by the government and private institutions of J&K state. 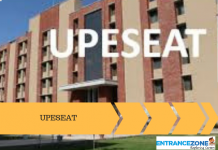 Admissions into medical programme are offered on the basis of NEET UG marks. Whereas jkcet 2019 exam date is yet to be announced by JKBOPEE. The information brochure contains all the details of the examination. Furthermore, the students can read about Jammu & Kashmir Common Entrance Test in detail here. The notifications for JKCET will be released officially on www.jakbopee.org. This common entrance exam is also known as jkbopee 2019. Admission to Medical colleges & Courses will be based on NEET UG 2019 Exam conducted by National Testing Agency. J&KCET 2018 exam is conducted on 20 April 2018. The jkcet 2019 exam dates are yet to be released by the board. The e-information brochure will be issued by the authority for the convenience of the candidates. Guidelines to be followed while filling the JKCET application form 2019. 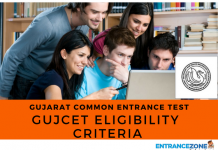 The applications are obtainable for the eligible candidates through online mode. The online application form will be available from the first week of February 2019. The form filling process will last up to the 1st week of March 2019. The candidates can change/modify their application form at any time before they submit it. Once the form is submitted, it cannot be changed thereafter. Method of payment: Integrated Payment gateway with any national Credit Card/Debit Card & net banking. Name of Exam: JKCET, Full Form Jammu & Kashmir Common Entrance Test. The Jammu & Kashmir Board of Professional Entrance Examinations will release the jkcet admit card 2019 before the common entrance test going to be held in April 2019. The Hall Ticket contains all the details of the student as well as details of examination including venue, city, exam slot with timings. Furthermore, Admit Card is an important document and applicants should preserve it until the end of the admission process. The candidates who fulfil the requirements of eligibility as prescribed by the BOPEE will be considered for admission. The syllabus for jkcet 2019 will be released by J&K Board of Professional Entrance Examinations, Jammu. The syllabus pdf along with information brochure link will be activated here for downloading. 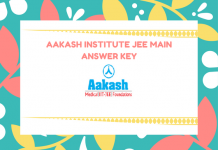 Also, weightage of particular important topics for the exam is included in the syllabus PDF. Stay Tuned for Jammu & Kashmir Common Entrance Test.